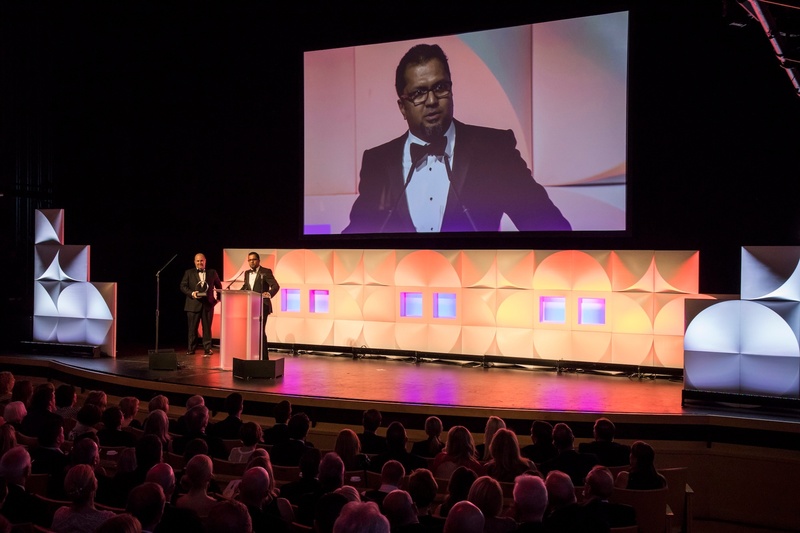 CONSHOHOCKEN, PA, June 14, 2017 --Suvoda LLC, a SaaS provider of Interactive Response Technology (IRT) for clinical trial randomization and drug supply chain management, today announced that its CEO Jagath Wanninayake has received the Entrepreneur of the Year® 2017 Award in the technology category for Greater Philadelphia. “I am honored to be recognized alongside so many other leaders and entrepreneurs in the greater Philadelphia region” said Jagath Wanninayake, Co-founder and CEO of Suvoda. Suvoda LLC, is a company offering a SaaS solution to optimize the logistics of managing complex global clinical trials. In just four years and with no outside funding, Jagath has led Suvoda from a six-person startup to a multi-national company with 180 employees in the US and Europe. “I am grateful to the entire Suvoda team for all the hard work they put in to propel us from a startup to where we are today” added Mr. Wanninayake. “Jagath is a visionary leader with superb execution skills who has led Suvoda through triple-digit sales growth for the past 3 years while delighting customers and fostering a culture of innovation. This award is well deserved” said Mr. Klaus Besier, who is a member of the Suvoda board of directors and former CEO of SAP America. As the world’s most prestigious business award for entrepreneurs, Entrepreneur of The Year has been at the forefront of identifying game‑changing business leaders for more than 31 years. The program has honored the inspirational leadership of such entrepreneurs as Howard Schultz of Starbucks Coffee Company, John Mackey of Whole Foods Market Inc., Pierre Omidyar of eBay, Inc., Reid Hoffman and Jeff Weiner of LinkedIn Corporation and Mindy Grossman of HSN, Inc. As a regional award winner, Jagath is now eligible for consideration for the Entrepreneur of The Year National program to be announced later this year.